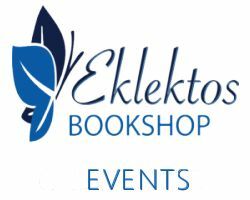 Eklektos Books Elounda - A Truly International Bookshop Based In Elounda Crete! THERE are few more arresting sights in Elounda than the Eklektos bookshop. The old shop was built on the site of Schisma Elounda’s police station and jail and now proprietor Lynne McDonald has moved to a brand new premises right on the main street next to trendy accessories shop Alligator. The shop doubles as bookshop and unofficial tourist information centre. Lynne is a fount of all knowledge when it comes to Elounda and Crete in general. She has sufficient command of languages to be able to help and assist all her customers from most places in Europe….and then of course there are the books! Hundreds, maybe even thousands of them to cater for every taste from reference to novel through to historic and ancient. The bookshop also stocks a wide range of tour guides and historical information. 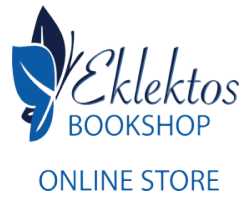 Eklektos stocks books in Dutch, French, German, Russian, Italian as well as Greek and English. Think of a book and you are highly likely to find it in Eklektos. There is also an attractive selection of trinkets and other small items on display which are easy on the eye. Having been established in Elounda for eight years Lynne is a respected member of the business community and the bookshop is a perfect example of how ex-pats can integrate into Cretan culture and society while making a living for themselves as well. Eklektos has won the Trip Advisor #1 rating and Certificate of Excellence for customer service and satisfaction and has a worldwide following including support from authors of all genres including Marjory McGinn, Yvonne Payne, Beryl Darby and travel journalist and author Richard Clarke, who is an annual visitor. Hello! Please enter your orders from the books below...we hope you enjoy this small selection from our shop! Keep checking back for our shop based events and book signings!